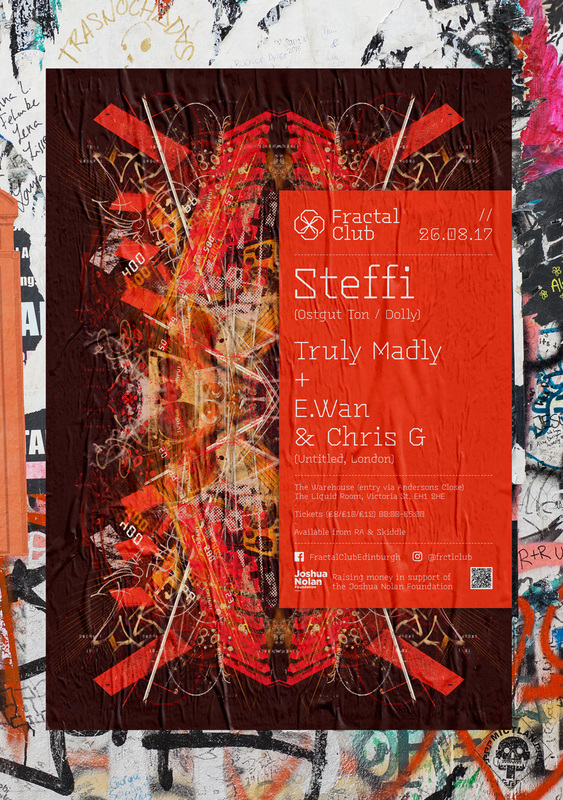 Fractal Club is a new series of events happening across the best nightclubs and secret locations in Edinburgh. Bringing the most cutting edge electronic music acts and DJs from across the globe. Working closely with the promoter I created the logo and brand identity to work across a unique style of promotional artwork developed around fractal styled repeating patterns, symmetry and contrasting colour combinations. The aim was to create a style of promotional items different from the usual club night artwork and an identity that would reflect the eclectic musical outlook of the promoters.